The unique skill sets of a trauma surgeon. A brief history of trauma surgery. The education necessary to become a trauma surgeon. Some career options and advancement opportunities for this surgical specialty. The other day a billboard for a local emergency room went up in my neighborhood. It has a Waiting Time clock on it. That’s a puzzling concept because if you ever need to go to an emergency room, it may not be when the waiting time is only a few minutes. Most people feel as if their wait time in an ER is hours. That’s probably because an allied health professional has assessed your ailment and determined it isn’t life-threatening. If it is, you’ll be seen immediately and possibly encounter a trauma surgeon. Both a trauma surgeon and an ER doctor are vital to the controlled chaos associated with the environment of an emergency room. And both respond to emergencies at hand. But since their skill sets are different, their roles are distinct. An ER doctor will treat any patient who enters the emergency room, regardless of their presenting condition. One of their primary skills is to stabilize individuals while making decisions about next steps in their care. The majority of patients who have experienced minor trauma, such as cuts and bruises from a fall will see an ER doctor. Once you’ve been released, or even admitted, you’ll usually be assigned to another doctor and not see the ER physician again. On the other hand, if you fall into a specific medical category, a trauma surgeon enters the scene. Events necessitating a trauma surgeon can range from a serious car accident to a gunshot wound. They are life-threatening because those injuries could affect internal organs. Immediate treatment is necessary by a doctor specially trained to rapidly assess and make decisions about what to do. Trauma surgeons must have confidence in their decisions since often they work with incomplete information. Although both trauma surgeons and ER doctors must treat patients with compassion and empathy, a trauma surgeon deals with high levels of emotion as well severe physical injuries. For example, people in terrible car accidents are frequently panic-stricken and confused. Often they go into shock and could be unable to identify everything that’s wrong with them. It’s possible they may not be able to communicate at all. Depression can enter the emotional mix if they feel responsible for the accident, especially if other people were hurt. As a trauma surgeon applies medical knowledge and experience, he or she must also deliver a high amount of emotional support, which requires extraordinary social skills. A trauma surgeon must also think linearly. While assessing a patient, the surgeon treats wounds and injuries in a particular order. Bleeding is stopped first. Next, any potential threat of contamination from open wounds is eliminated. Then a decision about surgery has to be made. Is surgery immediately called for, or is the patient stable enough to transport to intensive care for further treatment and observation? The trauma surgeon must treat injuries while simultaneously thinking three or four steps ahead. Saving a life and preventing permanent damage are the primary objectives. A misstep could be costly. The first trauma surgeon in the United States was Dr. George E. Goodfellow, although he didn’t start out with that in mind. In November 1880, he opened up a general medical practice in Tombstone, which was, at that time, located in what was known as the Arizona Territory. On July 13, 1881, a miner suffered a gunshot wound that perforated his small and large intestines as well as his bowel. Dr. Goodfellow sutured six holes in his organs. The miner survived due to the quick thinking and immediate surgical intervention by Goodfellow. Throughout the ensuing years, Goodfellow performed trauma surgery on many notorious outlaws as well as Deputy U.S. Marshall Virgil Earp and his brother, Assistant Deputy U.S. Marshall Morgan Earp, who both suffered gunshot wounds at the O.K. Corral in October of 1881. Through his many emergency surgical experiences, Goodfellow pioneered the use of sterile techniques in treating gunshot wounds. He ultimately became known as a gunfighter’s surgeon and became the leading authority on managing this type of traumatic injury. His method of what is now known as a laparotomy has become the standard of care associated with penetrating injuries to the abdomen. There are multiple steps to becoming a trauma surgeon and you’ll spend 12-15 years in school. Step 1 – Obtain a bachelor’s degree in biology, pre-med or another science-based discipline. Step 2 – Complete a doctor of medicine (MD) program, which includes two years of clinical practice. Step 3 – Enter a medical residency program. If you aspire to become a trauma surgeon, secure one in general surgery so you’re exposed to a variety of surgical procedures. Expect the residency to last 4-5 years. Step 4 – Complete a 1-2 year fellowship program. During this time you’ll focus on trauma surgeries and receive instruction in follow-up care to patients. Once you have all the necessary education, you must become licensed and certified. A license is required by law. Certification adds value to your degree and license because an independent third-party has assessed, and approved, your skill level. You want to pass these assessments the first time you face them. So take the time to study and take practice tests. All the practice you had in medical school allows you to have automatic responses in an emergency. Test practicing gives you the same advantage when answering questions and can reduce any anxiety you may have. Step 1 – Take the U.S. Medical Licensing Examination (USMLE). This assessment helps state licensing boards evaluate your skills and knowledge. Check with your state for further details. Step 2 – Although voluntary, you can become certified in General Surgery which requires five years of surgical training before certification is granted by the American Board of Surgery. Step 3 – Once you receive your certification in general surgery, you can also obtain a subspecialty certification from the American Board of Surgery. They offer five subspecialty certificates, but the best one for trauma surgeons is the Surgical Critical Care certificate. A surgeon specifically trained in this area has skills in diagnosing and treating trauma victims with severe infections and organ injuries. The American Association for the Surgery of Trauma defines Acute Care Surgery (ACS) as a developing area of medicine consisting of three components – trauma, critical care and emergency surgery. The need for trauma and emergency surgical care has increased over time, requiring improved, formal education covering both areas. As a result, the Trauma and Acute Care Surgical specialty emerged. Your formal trauma education may incorporate this ever-growing concentration. In the field of medicine, continuing education is mandatory. Trauma surgeons must stay abreast of advancements in surgical techniques. The better the methods and tools, the less risk there is to patients. Educational content varies depending on a doctor’s specialty. However, the surgical material is more complicated. 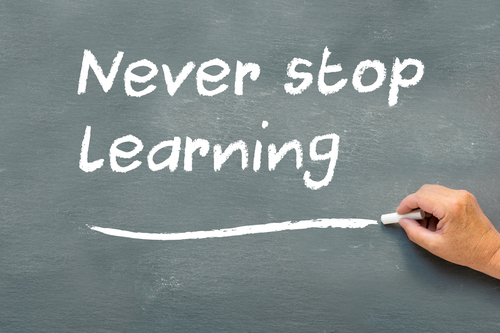 Minimal requirements for continuing education are ten hours of participation in an accredited continuing medical education program. The American Medical Association (AMA) is a source of information for CEUs. Trauma surgeons are nearly at the top of their field. However, depending on your years of experience and the competency of your skills, you may be asked to participate in research and development. R&D tends to focus on the advancement of surgical procedures and techniques. You may also elect to mentor and teach medical residents just starting out on their career path. Although you may consider a hospital as the only place that employs trauma surgeons, there is a vital need for them elsewhere. Becoming a member of the military or naval medical staff, are career options. Unfortunately, injuries to soldiers are often traumatic, and skilled surgeons capable of remaining calm and effectively performing in high-stress situations are always needed. Entering the field of medicine can be a gratifying career. But the role of a trauma surgeon is one where your intervention means the difference between the life, and death, of an individual. 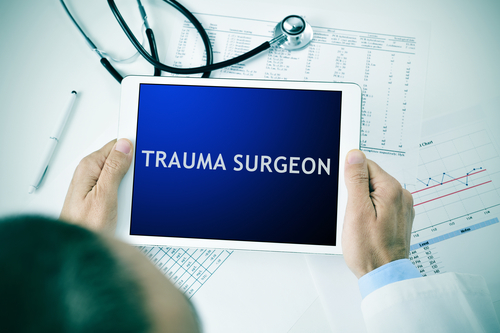 Can you begin your career in trauma surgery today? I like the way the steps is clearly outlined when it comes to becoming a trauma surgeon. No doubt the residency period will be a defining stage concerning pursuing a career in trauma surgeon. Thanks for sharing…I really appreciate it.